In the cabbage family, broccoli is an edible green plant. We eat the large flowering head as a vegetable. During the 6th century, BC Broccoli was carefully bred in the northern Mediterranean. It is a breeding of cultivated Brassica crops. It has been considered a uniquely valuable food since the time of the Roman Empire among Italians. In the mid-18th century, Peter Scheemakers brought it in England from Antwerp. However, Broccoli was not widely popular until the 1920s in the United States. Broccoli belongs to the mustard (Brassicaceae) family as a form of cabbage. This Italian native is known as Brassica oleracea capitata DC. or Brassica oleracea conica (H). It is a fast-growing and annual plant that grows over 60-90 cm. The upright and branched plant is renowned for its top green crowns of tender flower buds. It is the part that is edible and also the thick green stalks. Commonly, there are three types of broccoli grown. Calabrese broccoli is a cool season and the most familiar one among them. It is named after Calabria in Italy and often referred as broccoli. The annual crop has large green heads that can grow up to 10 to 20 cm and thick stalks underneath. For sprouting broccoli, a larger number of heads are seen with many thin stalks. There is another type of broccoli sold named Purple cauliflower in southern Italy, the United Kingdom, and Spain. Cabbage (Capitata Group), cauliflower and Romanesco broccoli (Botrytis Group) are some part of other cultivar groups of Brassica oleracea. They also include kale and collard greens (Acephala Group), Brussels sprouts (Gemmifera Group), kohlrabi (Gongylodes Group), and kai-lan (Alboglabra Group). Sometimes Rapini is called broccoli raab that forms similar but it has smaller heads. It is actually one kind of turnip (Brassica rapa). Tenderstem broccoli, commonly known as Broccolini is a cross between broccoli and Chinese broccoli. Additionally, Beneforté is a variety of broccoli that contains twice or thrice times more glucoraphanin. 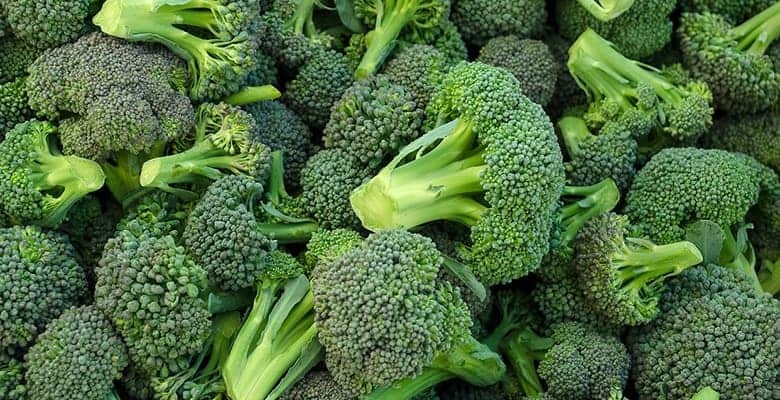 It was developed by crossing broccoli with a wild Brassica variety namely Brassica oleracea var villosa. Broccoli is available in two different distinct forms. Such as sprouting broccoli and heading broccoli. Sprouting broccoli constructs branching cluster of green flower buds topped on a green flower stalk. Smaller clusters arise from the stems are also made that looks like sprouts. In Britain, this form is called calabrese and the grown broccoli in the United States. For heading broccoli, it constructs a dense white branching cluster. It looks more like that of cauliflower so it is named heading broccoli. It is also called as cauliflower broccoli. Usually, this latter class is rather grouped with cauliflower by leaving the original term broccoli restricted only to sprouting varieties. It moderately grows to cool climates once propagated by seeds. You can either sow directly in plant beds or in the field to develop transplants. It grows to about 0.75 m long, and within 60 to 150 days it reaches the harvest. It depends on the weather and the variety you are sowing. 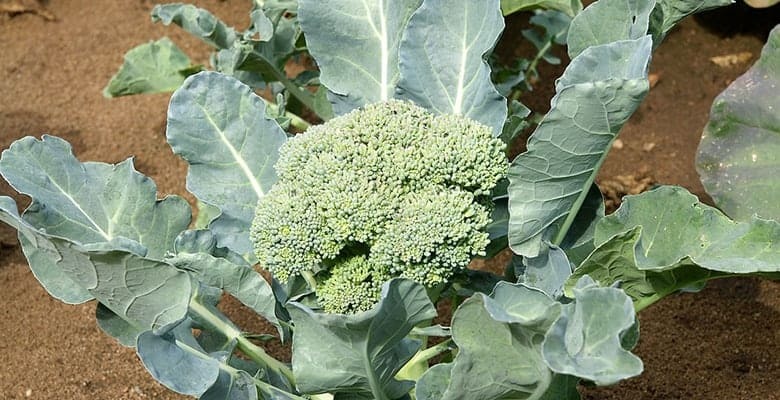 The seeds mature within July to September and from May to August broccoli is in flower. The flowers of these plants are hermaphrodite. Or simply, it has both male and female organs and more likely to be pollinated by bees. It requires moist soil where it can grow in semi light woodland or even in no shade at all. Broccoli can endure maritime exposure. Growing broccoli is a relatively easy undertaking coming from most home gardeners. Often all it requires is just plant it in the prepared bed of enriched soil, spray starter fertilizer and then supply plentiful water. That should suffice for about two to three months. However, there are tips for you if you want to yield bigger and better broccoli heads. For that firstly, you need to mix mulch as a top dressing. Wait until the central head measures 1” in diameter. When it has reached one inch in diameter, you need to sprinkle around the base of the plant. It should only follow the base but never against the stem. Secondly, always ensure you are providing only one or two inches of water weekly during dry weather. You are working on ample moisture to your plants. Also, skip wetting the head as it is mentioned earlier. Wet head encourages flowering and an unsuccessful harvest. And you definitely do not desire that in the broccoli cultivation. Thirdly, it is important to mix organic mulch in order to amplify moisture retention. It will also help to prevent weed growth. Growing broccoli also include installing cardboard collars. These cardboard collars keep cutworms away from eating the plant. The row covers are basically used for protection against the cold. And that should suffice for a successful harvest when it is time. You can enjoy eating your delicious broccoli of your labor. You need to understand that it is the seasoning that works behind the best tasting broccoli. The time of the year is what makes it great. Healthy heads are the fruit of cool weather. These are basically sweeter tasting than the vegetables you harvest during any other time. However, broccoli develops best in fall as spring conditions are merely unpredictable. There are factors like the cooler and longer springs which cause immature transplants to form early heads that tend to be smaller. It is because when temperature heats up ahead of time in spring, broccoli plants become heat-stressed. That causes them to open its cluster buds prematurely. High temperatures cause broccoli to mature as bitter and smaller. It forms loose heads leaving less tasty flowerets. However, broccoli produces bigger and tastier heads in fall as plants mature during colder atmosphere. Here is some information that you need to know for your fall broccoli planting. For fall harvest, you can easily find out the perfect period to plant broccoli seeds. Calculate the date about 85 to 100 days before the average first fall frost in your area if you are preparing to sow seeds directly outdoors. Alternatively, if you preparing to grow from transplants add 10 days to the days to maturity to find the sowing date for the variety you want to grow. Calculate the date by counting backward from expected first fall frost. Broccoli develops best in full sun in the slightly acidic soil. The soil should have a pH between 6.0 and 6.8. It needs to be fertile and well-drained. But do not skip on the fact that the soil is consistently moist while rich in organic matter. It is because the right pH with organic matter helps in ensuring that all the necessary nutrients and particularly essential micronutrients are readily available. The essential micronutrient boron deficiency can cause broccoli to arise hollow stems. Alternatively, adding too much of that is toxic to plants. So it is very crucial that you have done a soil test. Specifically, fall broccoli has spacing requirements. In case you are gardening in a raised bed intensively, you need to space the plants about 15 to 18 inches apart. And set the transplants 18 to 24 inches apart for gardening in rows, within the row and space the rows 24 to 36 inches apart. Be alert because you need to set the transplants slightly deeper in the ground outdoors than they were in the pot. If you have built row covers, they will provide some protection from pest and insects. But the best protection, to be honest, is to grow healthier plants. It begins with healthy soil. Generally, insect pests are more predominant in spring than in fall. But in case your broccoli does suffer from an infestation of damaging caterpillar pests like cabbage loopers, you can take measures to control them. You can do that with Bacillus thuringiensis var. kurstaki. It is known as naturally occurring bacteria which prevents the pests from chewing. If you are worried it might harm useful insects as well then you should know that it is harmless to beneficial insects. Harvest broccoli heads for best flavor between the buds are starting to swell and before the yellow petals start to get visible. You need to keep an eye on the head as the individual buds start to flower when it begins to spread open. Harvest the central head about 5-8 inches below the head by cutting the stalk at a slant. Following this procedure encourage side shoot production for extended harvests. It is important according to specialists that you harvest broccoli in the morning. It is because the plants start heating up as the sun goes up in the middle of the sky. Broccoli actually has a high respiration rate for that to a cause. But unfortunately, once the heat sets in, cool it down quickly. As the broccoli that needs to be harvested will not taste like it should. Storage: The first question for you to ask yourself after the harvest is regarding its storage. The fresh and dry broccoli you just took from your garden should last about 5 days in the fridge in a non-airtight container. Before using, wash broccoli immediately. Freezing: Broccoli tends to freeze well. You can cut the flowerets into pieces and submerge it in boiling water for one minute for blanching the fresh broccoli. Then plunge those directly into ice water to cool. Pack the broccoli after draining and drying and into airtight plastic bags. Broccoli is full of nutrition. It provides an excellent source of chromium and folic acid. It is a source of vitamins like K, B6, B1, E, and C. Nevertheless, it is a good source of dietary fiber, Beta-carotene, omega-3 fatty acids, lutein, niacin and pantothenic acid. It is also rich with core elements like Mn, P, Cl, K and Cu. Broccoli in the diet also supplies protein and nutrients like F, Zn, Ca, Mg and Se. One cup of broccoli provides 54 calories and 0.64 grams of fat. In a 2000-calorie per day diet, it supplies 135% of the daily vitamin C requirement with 245% of daily vitamin K requirement. Antioxidants like Vitamin C and E and anti-inflammatory keep from the damage caused by free radicals to the body. Broccoli is highly concentrated with phytonutrients and especially glucosinolates. These are under scientific investigation in cancer prevention for their role. Recent studies regarding this showed evidence that glucosinolates prolong survival in patients with bladder cancer, decrease the metastatic potential of lung cancer and even lower the risk of breast cancer. Vegetables can be as decorative and a healthy vegetable patch filled with produce is always bountiful. Your vegetable garden may be right outside your house along one end of the garden. Broccoli needs full sun so you need to focus on wherever the sun shines most. It is where a kitchen vegetable garden should be. One of the skills of growing good vegetables at home includes paying attention to the particular conditions on your plot and working with it. Nevertheless, cheating the weather is impossible. If the weeds are not developing then it is too cold for the vegetable seeds. You need to tool off a flush of weeds when they start to grow for sowing your seeds. It will help them in their vital first weeks of growth to avoid too much competition. As soon as your soil is dry enough and does not feel cold to touch, a few seeds will start germinating. Seedlings can emerge but then stop growing if cold spring weather is inevitable. It is at this point when the seedlings are very susceptible to slugs and snails. Although it is miserably cold and wet outside, it is the crucial time to sow seeds. You can sow them in a seed tray under cover or use peat-free compost to sow in plugs. When the plants have germinated and grown to reasonably sized seedlings, they need to be put outside to harden off. And that is before planting them out with spacing. The soil should be warm by the time and the plants are also grown enough to withstand any kind of slug or snail attack. The best soil is the one that is rich in humus or organic matter. They should come from the roots of plants or vegetable matters. The addition of decaying vegetable material such as manure or compost is also good for the vegetable. Once the soil is fertile and in very good condition then all it needs is mulch on top of that. Adding 1-2 inches of compost for a couple of time maximum a year can make it reach that state of heaven soil. So it is significant to assess your soil. In case it is very sandy, you need to consider adding lots of organic material. It will let the soil have the better structure with more moisture and nutrients. Likewise, if the soil is heavy clay, organic humus will open it to improve drainage. However, mulch on the surface does the same job if you cannot dig. Work into the soil even though more slowly. It is a common pattern to heavily enrich 1/3 of the plot salad crops, another 3rd with mulch for growing brassicas. That is our main concern as we want to grow broccoli very successfully. However, it is a good guiding principal and does not necessarily have to be slavishly obeyed. If you are limited by space or mobility raised beds are ideal. They are also the best way to cope with poorer and thinner soil. And the greater depth of topsoil alongside means improved drainage with a better root run which is noticeably quicker to warm up in spring. However, simple mounds of soil work well but the beds cannot help spilling on the paths. In that sense, solid edging is far better. You can shovel a layer of topsoil on the beds from forking over the paths. Use a rake to top dress the beds over with a layer of mulch or compost. After that, they will be ready for sowing or planting, whichever you want to do. The strategy works like wonder while you are making the perfect bed for your vegetable to grow successfully. For that, it is important that you are able to reach everything from the paths. It is a great inconvenience if you have to stand on the raised bed. So creating a path is significant for planning properly spaced holes. This also means no further cultivation once they are made. Avoid making the beds too wide. If you are a first timer, you need to know is that 1m (3ft) to 1.5m (5ft) is the maximum executable width. And for length, it is best if you do not cross more than 4.5m (15ft). It is the maximum length to remain quick and easy for walking around. You should better mark the beds out with string while digging the ground deeply. Feel free to add as much compost as you can obtain as it will raise the surface. You can use bark chippings and grass or pave for the paths. Every gardener finds their precious crops ravaged by slugs and snails from time to time that you can avoid. The best defence for that is to develop healthy plants. Slugs and snails are most likely to perform a priceless role in recycling vegetative matter waste as a required contribution in a compost heap. They tend to love young and soft tissue so resist planting or sowing tender plants too soon. You have to make sure to harden off seedlings well and must not over feed as it will result in first to be attacked. You want your broccolis to be tough so they can withstand hardship rather than ill and run down. If you prefer chemical over organic growth, it means dealing with toxic chemicals like slug pellets. The initial enthusiasm of the vegetable gardener is often accompanied by long time periods where he does not have much to harvest. But for succession, all you have to do is follow some methods to get a steady furnish of fresh vegetables. Brassicas are rather long and slow crops which can be dispersed widely over months to supply two or three overlapping flourishes of harvest. Broccoli will tie up space in your garden for most of the growing year. Broccoli requires its bed where it can receive full sun. So for it to do well, make the bed where sunlight reaches to its highest. Using a healthy dose of manure and compost supplies key elements like N, P, K (nitrogen, phosphorus, and potassium) into the garden bed. A good mix of these three elements is needed for broccoli growth so use a garden fork to work them up. •If the pH level of the soil is below 6.0, you need to add acid compost. •If the pH level of the soil is above 7.0, you need to mix in granular sulfur. Consider building a garden planter box if your soil is prone to flooding to raise your soil above the ground. You can use cedar wood if it is possible to build the planter box. The great advantage is when exposed to water it does not rot. Mix up to four inches of mature compost to increase the fertility of your soil. Also, add a high-nitrogen fertilizer if your soil is in particularly poor condition. It will help to enrich the soil. 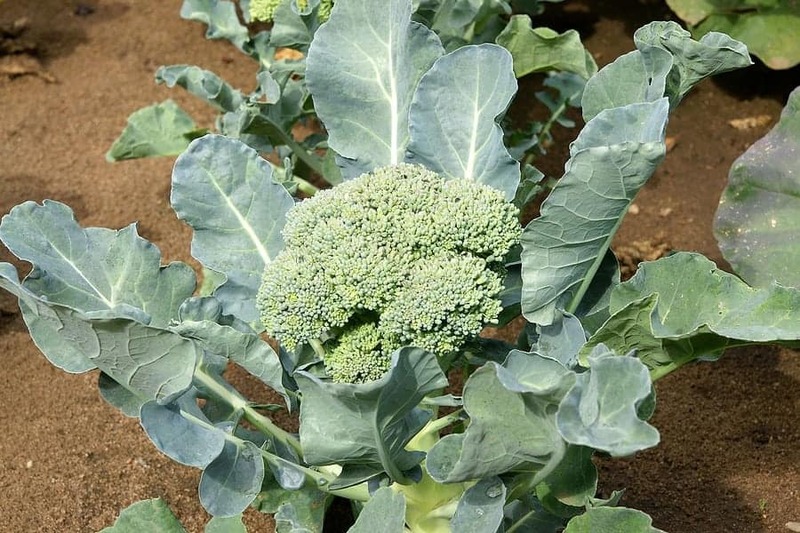 You can use alfalfa, manure, and cottonseed as organic fertilizers for planting broccoli. You are targeting full sun for growing your broccoli successfully. It generally prefers that but will tolerate shade as well. Choose an area with the full sunlight of your garden with and sow your seeds directly outdoors. Lightly smooth the soil over the seeds using a rake. But make sure to do that without displacing the seeds. In case if you have done this before, what are your timing for planting now? Sow seeds 2-3 weeks before the last spring hoar if you are aiming for a summer harvest. And if you are aiming for a fall harvest, you need to consider 85 to 100 days before the first fall frost. Directly sow seeds outdoors for the fall harvest. It is necessary that you thinner your outdoor seedlings. You can do that when the seedlings reach 2.5 cm in height. In order to allow them space to grow you may need to thin the plants. Following in the process, remove unhealthy and smaller looking plants. The survivors of this procedure should be 30 to 60 cm apart. This will keep the broccoli plants from overcrowding as they continue to grow. Make sure that throughout the growing season you are maintaining an adequate level of moisture. Feed the plants with all-purpose liquid fertilizer every two weeks. You need to stay alerted about keeping their beds well weeded. How long does it take for the broccoli to mature? It takes approximately sixty to seventy days from the day of transplant. Be careful to harvest the green florets before the petite buds open up to turn yellow. Use a sharp knife for harvesting. Cut the clustered head off of the stalk. It should be just below the floweret heads. Remember to leave the rest of the plant in the ground as it will sprout new flowerets along the stalk at other places. Broccoli being a cold weather crop cannot cope well with hot summer weather. It generally grows best at an average daily temperature of 64 °F and 73 °F. The head or cluster of flowers of broccoli that come out is green. The head is cut about an inch from the tip using garden shears. Generally, broccoli is harvested before the head turns bright yellow. Some varieties of broccoli perform poorly in summer. Part of it is caused by insect infestation. But the sprouting variety of broccoli for the same reason is more resistant. It needs more attention to the sucking insects though. When you are determined to grow broccoli at home, you might want to do that successfully. It will require you to let the plants to mature during the colder parts of the year. Broccoli is not suitable for growing in hot and tropical areas as it does not get a cool winter. If you are in the temperate area, you should plant broccoli out by mid-autumn. In the Southern Hemisphere February is the planting season while Northern Hemisphere you should plant it in August. Although it grows out better in the cooler season, this plant likes full sun to be grown. The soil should be light but rich in organic matter. You can have it moist but not watery. So it is better to dig down to a depth of 25 cm and add plentiful of garden compost and manure. You need to make the soil alkaline with a pH of 6.5. Add an amount of given rate of lime on the bag of soil. Leave the bed for about a week with lime and water vigorously mixed with soil before planting out your seedlings. You can plant broccoli seeds directly into the prepared bed but seed trays can be an option too. For the average-sized family, a few more or less than ten broccoli plants should suffice. If you are planting broccoli seeds in seed trays than doing it to a depth of 6mm. Cover them lightly with vermiculite and seed developing mix. Or you can simply use light soil with sand. Spray with water, and place some sheets of wet newspaper on the top. Keep them wet and once the seeds start germinating remove. When the seedlings grow to a height of ten cm you need to transplant them. This is the most crucial part as you need to check if they have a growing tip. You would want to discard plants that do not have any central bud. These blind plants will not come to anything. Broccoli can also be grown directly using its seedlings. Place 2 to 3 seeds in each hole to a depth of 1.5 cm in the depression in the soil. Make the depression in the soil at 50 cm apart. After planting, cover the holes with soil. Spray them with water finely but do not dislodge your seeds. When the seedlings have grown 10 cm in height after emerging, choose the ones with flower top and discard the rest. This time plant just seedlings one per hole. Once in a couple of weeks add liquid fertilizer to the soil. You can use nettle tea, seaweed, and manure tea etc. And keep the beds free from competitive weeds. Remove the growing weeds by hand. You can make a good use of them by adding them to the compost heap until they have seeded. Before the head of your broccoli starts to be broken by leafier points, harvest them. The flower tops need to be firm and compact during harvest season rather than open and loose. What you need to do is cut the flower cluster with approximately ten cm of its stalk with a few leaves. The good thing about broccoli is after the first harvest smaller cluster will sprout. You can harvest them as well. In this case, they will be smaller but very tender. Per plant, you can expect a crop yield of approximately 750 g of broccoli. Why do most gardeners choose to grow the plant from seedlings? It is fair because Broccoli is a slow grower. However, you have another option. 3 to 4 weeks before transplanting you can start seeds indoors. Not all the people are blessed with land ownership. If you possess extra land and would love to do some gardening on that land, then, you must think about growing broccolis. This green vegetable is in demand now. In the west, this vegetable is used in many delicious recipes. They love to experiment with this one. Even just a boiled broccoli is served as a side dish in many countries. Nowadays, in Asia, some of the countries in Asia have grown real interest in growing broccolis on their own land, and they have been successfully doing this. Some of the people earn their livelihood by selling broccolis in the market. People have grown interest in it not only because it tastes better, but also, it is enriched in proteins and vitamins. 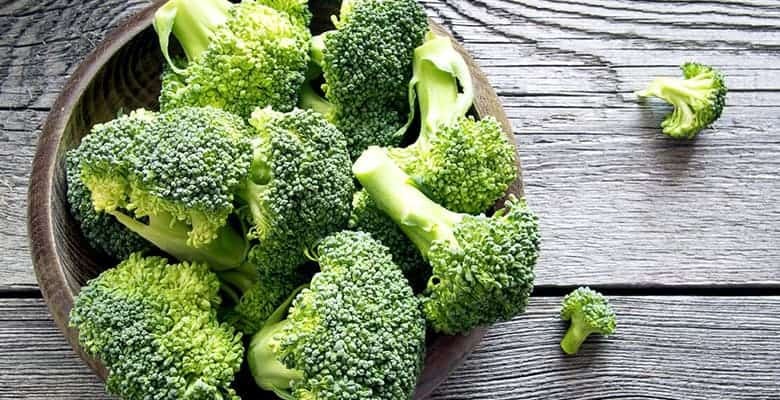 As we all know that, green vegetables are really good for eye and in this technically advanced era, we, most people of the world, are suffering from many eye diseases, we can surely depend on this fresh green vegetable to build our immune system in our body to have a fight against all the potential germs. Broccoli business is, now, a flourishing business among other businesses. People prefer broccoli now over cauliflowers or other vegetables. It is consumed by making juices of it. 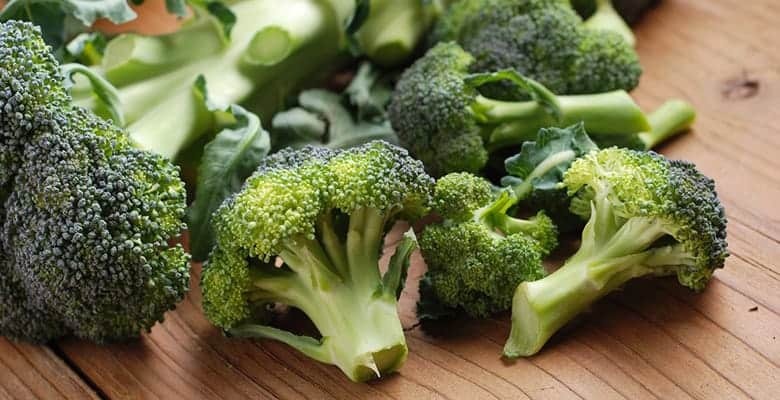 People who prefer healthy food over oily foods, their choices of vegetables start with broccoli. 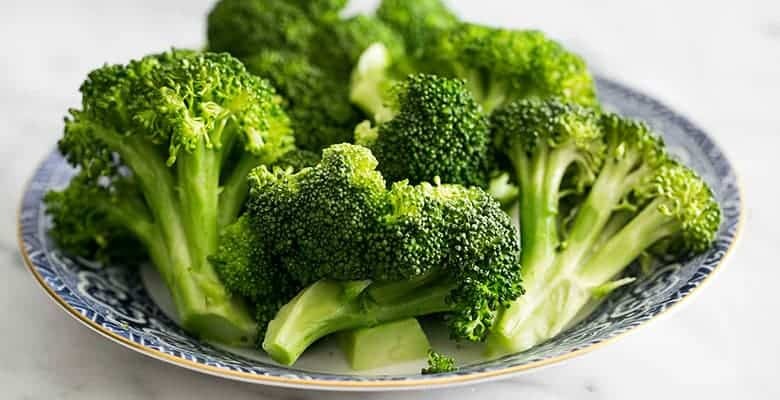 Broccoli is used in salad and is also used as a main dish with other ingredients. From pasta to rice, you will find so many recipes with broccoli in it. It is a proof that how the use of broccoli is increasing day by day. 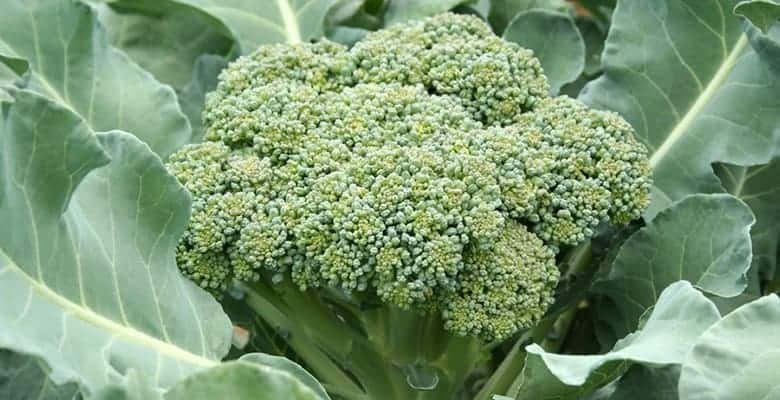 In this situation, owning a broccoli farm is not a bad idea, rather you will be able to make a huge profit by selling these fresh broccolis in the market.